Three quick reviews, no theme. Another of the latest crop of fragrances from Gorilla Perfume at Lush (see my recent review of Furze), Flower's Barrow was inspired by an ancient hill fort in Dorset known as Flowers Barrow. Lush describes the scent as "sweet, odd and comforting", and although Furze is closer to a conventional comfort scent, I'll go for the sweet and odd. Flower's Barrow is a dusky blackcurrant rose with heavy herbal undertones (notes include geranium, sage and thyme). I found the first sniff a bit too overwhelmingly post-modern hippie, and set it in the "no" pile, but then I kept taking it back out to try it again. Berried roses are, of course, a dime a dozen, but Flower's Barrow is quirkier than most, and once the top notes settle, the almost-medicinal herbal notes and the jammy sweetness stay in near-perfect balance, and while it still doesn't smell like me, it smells awfully good (note to Lush: both this one and Furze would make wonderful shower gels! Just saying! ), and as is usual from the brand, it smells like real flowers and plants were used in its development. Very much worth a shot, even if it doesn't turn out to be you either. Lush Flower's Barrow is available in splash or dropper bottles; sizes include 7, 25, 28, 43, 46 and 92 g, and prices range from $20 to $70. It's not as strong as some of the Lush perfumes, but it's hardly what you'd call lightweight either, and the lasting power is excellent. Juicy Couture has done a really great job on some of their fragrances; others, not so much. This one goes in the not so much pile. It starts with bright, sharp citrus and fruit overlaid with synthetic fresh notes, then settles into a generic pinkish floral over a pale base. An aura of cheap plug-in air freshener lingers into the dry down, but thankfully, Couture La La loses most of its oomph in in the first hour or so. Reviews at Macy's: "nothing short than amazing" and "simply divine", so your mileage may vary. 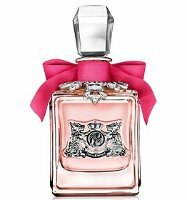 Juicy Couture Couture La La is available in 50 and 100 ml Eau de Parfum; notes include mandarin, green apple, red currant, lily of the valley, orange blossom, peony, violet leaves, woods and musk. The name is a taunt, right? No, it isn't fabulous, but it's a reasonably pleasant lightweight floral with a soft musky base that warms slightly with wear. Cons: it's neither memorable or unique. Pros: it's youthful and bright, not overly fruity or candied, and has decent staying power. Also in its favor: it may not be brilliant, but it's a far cry better than Couture La La. 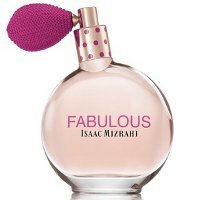 Isaac Mizrahi Fabulous is available in 50 and 100 ml Eau de Parfum; notes feature mandarin, nectarine, bergamot, jasmine, tuberose, freesia, peony, sandalwood, vanilla and cedar. After leaving a work meeting downtown today at lunch, I stopped by Lush — although it’s always hard to “stop by” Lush, as the helpful-irritating SAs always swarm you and threaten to rub soap or unguents on you, especially at midday. But, for Flowers Barrow fans, I learned that the new Blousey shampoo, made from bananas, which interested me in the catalogue, is made to complement Flowers Barrow and is scented with black currant, rose, geranium and thyme. Oh, excellent, thank you so much Erin. 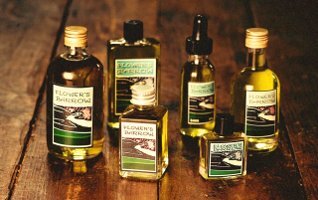 I might buy a mini of Furze and a small Blousey shampoo. Oh, that’s quite interesting – I get all my hair products from Lush and the last time I was there getting shampoo, I really thought about getting Blousey. Maybe next go-round. Wow! I misread “berried roses” as “buried roses are a dime a dozen. . .” and my mind went on ALLLLL sorts of tangents! (Probably assisted by the recent movie theater viewing of Harold and Maude!) Then I reread the paragraph, and I was back! Oh, have not seen H&M in years — yes, that would give you all sorts of tangents! I’m really excited to smell all of these! The new Lushs, that is…Furze and Flowers Barrow sound like winners. Can we get some reviews or mini reviews on more of them, Devil’s Nightcap, for instance. Pretty Please! Sadly I do not have them all — I only have 5, and Devil’s Nightcap is not one of them. I may do a short review of Sikkim Girls, but need to spend more time with it. Or we can try to talk Erin into a review! I mentioned Euphoria briefly in my (brief) review of Sun, which is at the end of the Furze review. It’s nice, but like Sun, just nice — not astonishing or anything. Sikkim Girls is like Flower Barrow in that it’s cool but probably not me. That’s it, that’s all I have! Very interesting. I definitely want to try Furze – did your Lush store have these or did you have to order them online? I should probably just call and check – the Lush store here is so tiny, who knows what they have! Lush UK kindly sent me 6 minis (2 of which were Furze), which I’ll give away in a contest soon. I greedily wish they’d sent me all 9 fragrances. As I understand it, only about 10 stores in the US/Canada are going to have these. I am very tempted to order a couple of the others unsniffed, we’ll see. Interesting reviews, Robin. Thanks. You know, both Furze and Flower’s Barrow sound good enough to warrant getting samples, but then I think, “why?”. I can’t wear what I have now; why add something else to the pile of scents I can never get to?!? I know just what you mean. I do wish they’d do a sample set. So, I did have a chance to see this line in person, at the 14th Street LUSH in NYC. I sniffed about half the line and tried three scents on my skin, and I really fell for Flower’s Barrow, even before I was told that it shares the same scent as Blousey shampoo. I’ve just polished off a tub of Blousey, incidentally. And I brought home a tiny bottle of Flower’s Barrow today. I liked Furze, although it ended up going too coconutty on me, and I also tested Voice of Reason, because I liked its story. I’m really not a smoky-woods person, but I thought VoR was really well done. Actually, I liked everything I sniffed. And the range of sizes is great! and the prices are quite reasonable for what you’re getting. Bravo, LUSH!